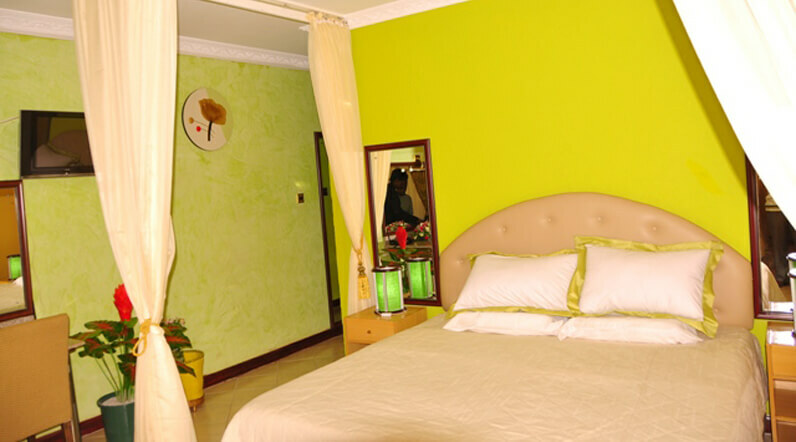 These 2-star Nairobi hotels offer comfortable and clean rooms, friendly service at a cheap price. The experience might not be the same as booking a room at a 5-star hotel in Nairobi, but you will have a good night sleep and enjoy a couple of amenities you would normally find in more upscale hotels. Whether you are in Nairobi for a business trip, honeymoon, a family get-away or a holiday in Kenya. A stay at one of these top budget hotels will sure give you value for money. Kahama is among the popular 2-star hotels in Nairobi. The hotel offers 47 rooms categorised as Superior King Size Rooms, Executive Rooms, Classic Rooms, Double Rooms and Triple Rooms. The Nairobi hotel also offers complimentary Wi-Fi, satellite TV with DSTV and local channels, in-room telephone, safety deposit box, hot shower, electronic room door locks, complimentary bottled mineral water and tea/coffee making facilities. Kahama Hotel also features 2 restaurants, a bar and conference / meeting rooms. 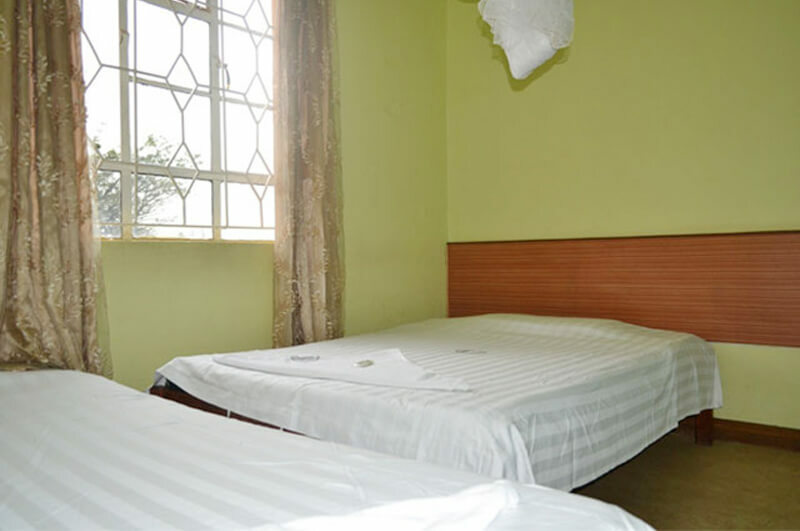 Guests at the hotel can easily get car hire services and there are fans and mosquito nets in each room. Kahama Hotel is located 19 km from Jomo Kenyatta International Airport (NBO) and less than a km from the city centre on Murang’a Road, Nairobi Globe Cinema Round about opposite Paramount Plaza. Khweza Bed & Breakfast is ideal for the business traveler and those wanting to take a safari in Kenya to the country’s game parks and reserves. The budget Nairobi hotel offers 20 rooms with private bathrooms, complimentary Wi-Fi, flat screen TVs and hot water showers. The 2-star Nairobi hotel also offers rooftop bar and restaurant, free breakfast and room service in some rooms. 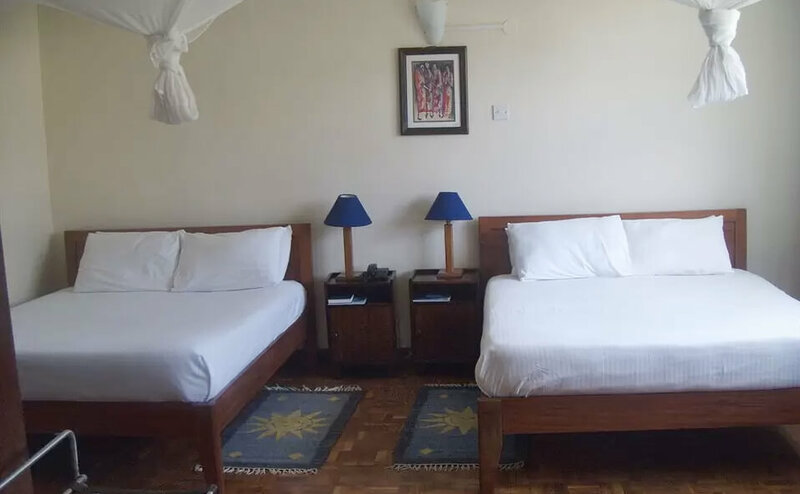 Khweza Bed & Breakfast is situated 19.4 km from Jomo Kenyatta International Airport and 1 km from the CBD on Ngara Road, Opposite Administration Police Post. 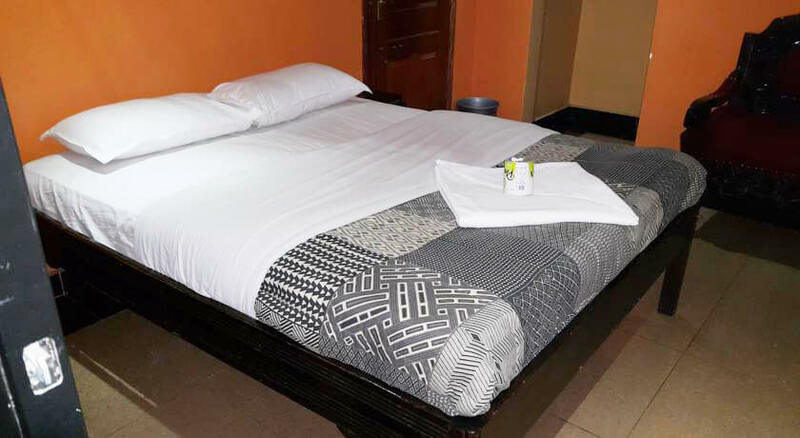 Delta Hotel offers 85 simple and comfortable rooms categorised as Studio Suits, Twin Bed Executive Suits, Deluxe Suits, Single Rooms and Budget Rooms. The 2-star Nairobi hotel is close to key attraction in Nairobi such as, the National Museum of Kenya, the National Archives and the Nairobi National Park. Amenities at the hotel include free Wi-Fi, flat-screen satellite TV, private meeting lounges and a bar and restaurant. Delta Hotel is situated 18.5 km from Jomo Kenyatta International Airport (JKIA), minutes walk from the CBD on University Way Opposite central police station. Nomad Palace hotel is ideal for both the business and leisure traveler. The 2-star Nairobi hotel offers amenities you’d normally find in 3-star hotels in Nairobi. The hotel features 95 well appointed rooms categorised into Deluxe, Superior and Standard rooms. Each room has complimentary Wi-Fi, flat screen TV, tea/coffee making facilities, mini bar, electronic safe, intercom telephone, private bath, shower, WC and hair dryer. Nomad Palace Hotel also feature a 60-seater restaurant serving local and international cuisine, conference and meeting rooms that can accommodate up to 120 people and 24 hour room service. Nomad Palace Hotel is situated 19.3 km from JKIA and 3 km from the downtown Nairobi on General Waruingi Street. 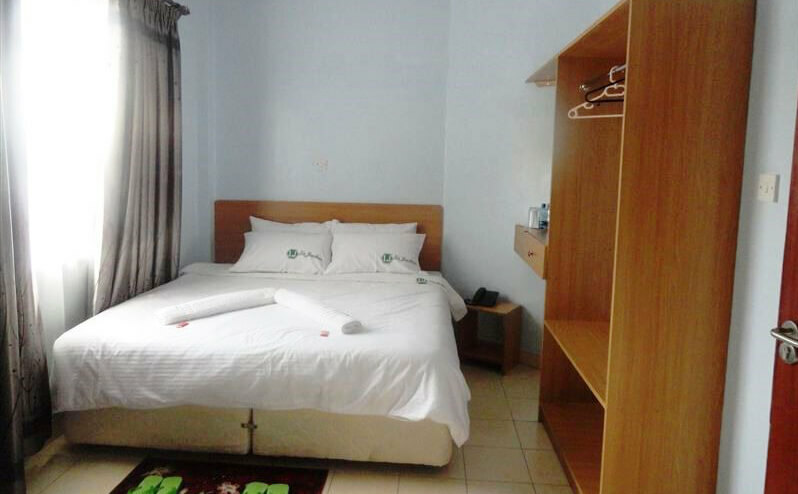 Kenya Comfort Hotel offers friendly service and simple and clean rooms. The budget Nairobi hotel features a selection of 95 rooms categorised into budget, standard and superior. All rooms have natural lighting, direct dial telephone, compact attached bathrooms, mosquito nets and premium hotel quality spring mattresses. The standard and superior rooms have wordrobes and TVs. Kenya Comfort Hotel is within Nairobi City Centre at the junction of Muindi Mbingu/Monrovia Street, opposite Jeevanjee Gardens. La Jardine Hotel offers 50 elegantly designed en suite rooms categorised into Standard, Superior and Deluxe rooms. Each room features a flat screen TV with DSTV, terrace, private bath with hot shower, free Wi-Fi, hair dryer, bottle of sparkling drinking water, reading table, fan and side bed lamp. The 2-star Nairobi hotel also offers a restaurant, a bar, conference facilities for up to 15 people and airport transfer services. La Jardine Hotel is situated 18.9 km from JKIA and 1 km from the city centre on Ngara Road (Ngara). Blue Hut Hotel offers high quality bed and breakfast accommodation for the leisure and business travellers seeking value and convenience. 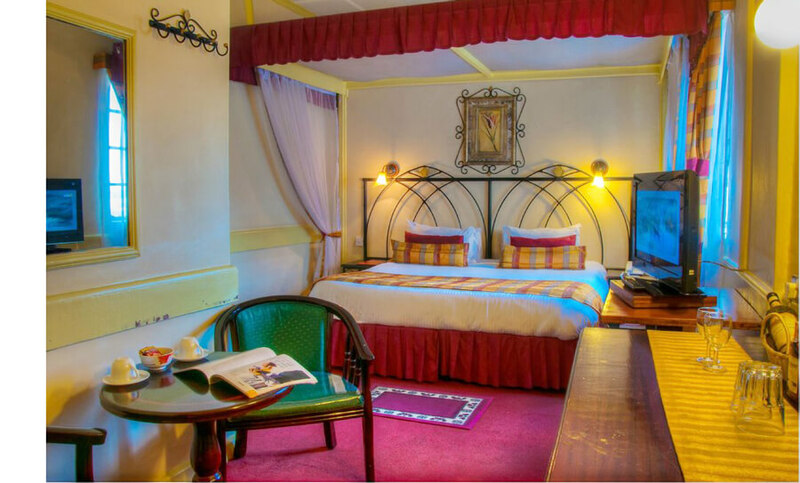 The budget Nairobi hotel has a total of 58 en suite rooms with twin or double deluxe beds. Each room at Blue Hut Hotel is fitted with a satellite TV, inbuilt wardrobe and hot shower system. The hotel also features a restaurant, a bar and conference rooms that can accommodate up to 100 people. Blue Hut Hotel is situated 18.9 km from JKIA and 1 km from the city centre near Krunje House, Park Road, Nairobi, Kenya. Hotel Central Park Nairobi offers 85 superbly designed and spacious en suite rooms, categorised into Single, Double, Triple and Executive rooms. The rooms feature electronic sensor doors, local and cable television, free Wi-Fi, telephone, mineral water, fully stocked mini-fridges, key less card used for lighting and 24-hour room service. The Nairobi hotel also offers a restaurant, a bar, health club with a gym, spa, steam bath, massage and beauty parlour. Other amenities at the hotel include conference facilities, basement parking and airport transfer services. Hotel Central Park is located in the city centre along Sheikh Karume Road between Ronald Ngala Street and Luthuli Avenue. Upways Hotel features modern amenities and noted for its simplicity and friendly service. The budget Nairobi hotel offers 22 rooms with plans underway to bring the total rooms to 60. The rooms feature hot showers, complimentary Wi-Fi, flat screen TV with DSTV, safety deposit box and 24 hours room service. Upways Hotel also features 4 bars and restaurants, conferencing facilities, a number of recreational areas and a swimming pool. Upways Hotel is located 27 km from Jomo Kenyatta International Airport and 10 km from the city centre along Thika Superhighway, Opposite Kenya Breweries and Garden City. 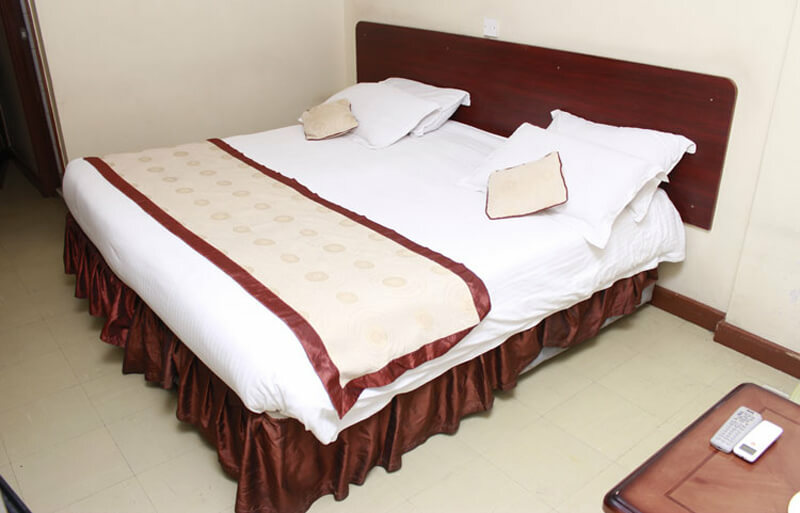 Nairobi Glory Palace Hotel offer comfortable accommodation in single rooms, double rooms, triple rooms and apartments. The 2-star Nairobi hotel offers 50 rooms with air conditioning, free Wi-Fi, private bathroom with a shower and toilet and 24-hour room service. The Nairobi hotel also offers a restaurant, pool table, study rooms and TV and DVD rooms. Glory Palace Hotel is conveniently located in the heart of Nairobi on Maranga Road.